In her first book, Paige Williams has given readers an irresistible story that spans continents, cultures, and millennia as she examines the question of who, ultimately, owns the past. 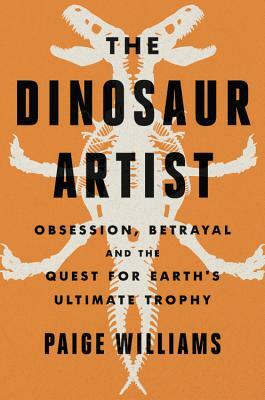 In the tradition of The Orchid Thief, The Dinosaur Artist is a stunning work of narrative journalism about humans' relationship with natural history and a seemingly intractable conflict between science and commerce. A story that stretches from Florida's Land O' Lakes to the Gobi Desert, this pick illuminates the history of fossil collecting--a murky, sometimes risky business, populated by eccentrics and obsessives, where the lines between poacher and hunter, collector and smuggler, enthusiast and opportunist, can easily blur.